Kate Lawrence can sense the shadow of violent death, past and present. In her struggle to cope with her unwelcome gift, she has frozen people out of her life. Her marriage is on the rocks, her career is in chaos and she urgently needs to get a grip. It is certainly a new start, as she takes on Sylvia's grandiose schemes, but it brings Kate to a place that is thick with the shadows of past deaths. 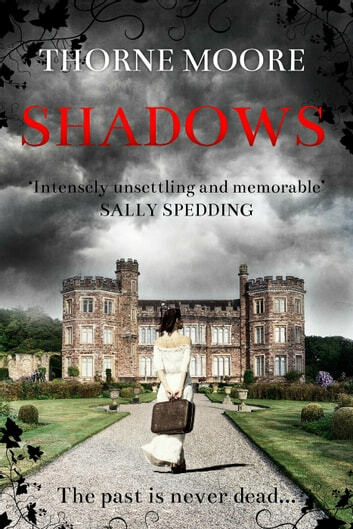 The house and grounds are full of mysteries that only she can sense, but she is determined to face them down – so determined that she fails to notice that ancient energies are not the only shadows threatening the seemingly idyllic world of Llys y Garn. The happy equilibrium is disrupted by the arrival of Sylvia's sadistic and manipulative son, Christian - but just how dangerous is he? Thorne Moore was born in Luton and graduated from Aberystwyth University and the Open University. She set up a restaurant with her sister but now spends her time writing and making miniature furniture for collectors. She lives in Pembrokeshire, which forms a background for much of her writing, as does Luton. 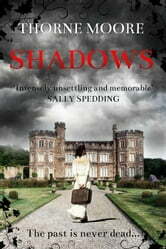 She writes psychological mysteries, or "domestic noir," including A Time For Silence, Motherlove and The Unravelling. Well written story with well drawn characters and an engaging plot.